Julia, Nigella, Martha, Emeril, hell no! 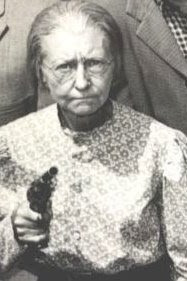 If you ask me, the greatest television cook to ever set a pot on the stove is none other than Granny Clampett. Granny was an organic, locavore, nose-to-tail, slow food advocate before anyone ever intellectualized such culinary ideas. Long before Paul Prudhomme, Granny was cooking crawdads. Long before Martha was stuffing steamed peas with chevre, Granny was making goat cheese. Long before Alice Waters, Granny was serving organic vegetables from her kitchen garden. The great actress, Irene Ryan, will forever be seared into the minds of the viewing public as, Granny. 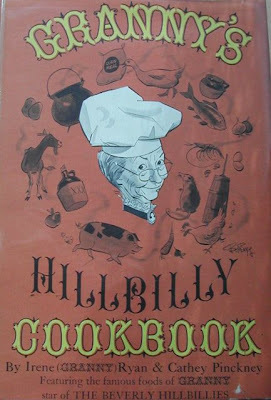 Capitalizing on her fame as the Clampett Family's resident cook, Ryan published a cookbook aptly named: Granny's Hillbilly Cookbook. One of Granny’s specialities was roast possum. I know that smug, self-righteous, I’m to cool to ever even think of such a thing reaction! Trust me, that is same reaction you had the first time someone suggested you eat crawfish, or pig’s ears or corn foam! The day Thomas Keller slaps a possum on the menu, you’ll be the first one at the table and I’ll be there to remind you that Granny cooked it first. Possum is easy to catch. Hit ‘em with a rock or a stick when they’s up a tree and you can have ‘em in your sack afore they knows it. The yellow-bellied goomers is too scared to fight back, and they play dead jest long enough to grab ‘em. Boil up half a peck ‘o water or more, dependin’ on the size o’ your possum. Dunk the critter in boilin’ water an’ right away pull off his hair n’ scrape ‘em clean. Don’t forgit to cut off his feet, his head n’ his tail! Clean out his innards. 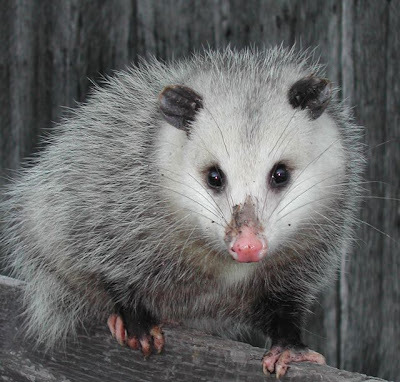 Put the possum in a hefty jug o’ cold salty water and let ‘em soak overnight. Change his water the next day and start boilin’ him ‘til his skin lets a fork pop through it easy like. They ain’t no time for cooking possum ‘cause some is tougher than others. When the feller is jest right, dry him off and put ‘em in a bakin’ pan with a bit o’ pot likker (juice left over after cooking greens or other vegetables) ‘n some seasoned salt over his belly. When he is brown ‘n toasty, he is ready for slicin’ and servin’. Back home we fattens possum with ‘simmons (persimmons), and most often we eats him with yams. Granny’s right, possums are easy to catch, but bear in mind they are scavengers. 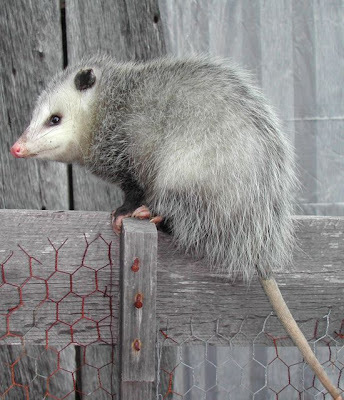 Once you catch a possum, it is best to grain feed him or fatten him with ‘simmons for about 4 weeks. They paunch the same as most small game, but they do have scent glands, so be careful. And now for that all important question....What wine do you serve with possum? I suggest a crisp Pouilly-Fuissé. After all, it is the other white meat. Soon as Jethro kills me a few..."